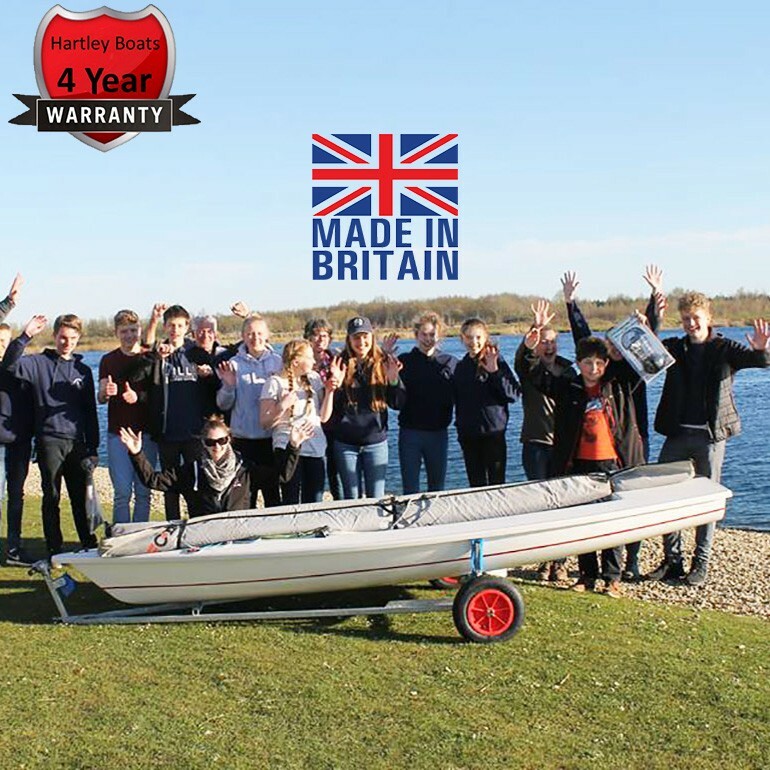 The sleek new Byte trainer is beautifully built in GRP at the Hartley Boats factory in Derby (UK) using a foam sandwich construction and weighs just 45.5KG. 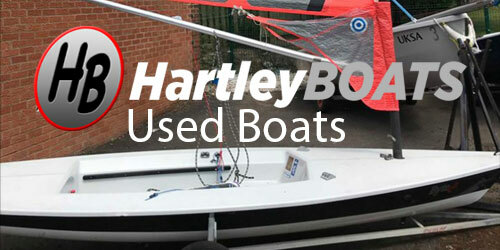 The high boom position enables the daggerboard to be raised almost fully for easier launching and recovery. 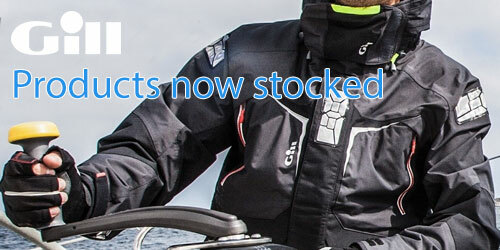 The mainsheet is sheeted from the centre of the cockpit directly to the mid-boom position so it doesn't catch on the transom which is a particular advantage, especially when gybing downwind. The cockpit is large and self drains quickly, the high boom is a distinct advantage for taller sailors. 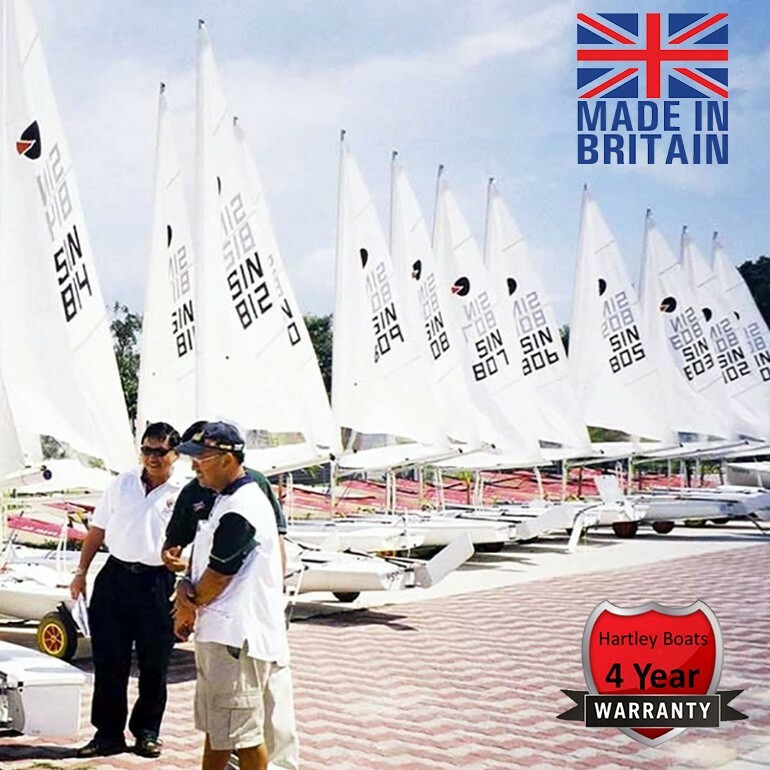 The superb dacron sail is a fantastic cut training sail which enables sailors to gain confidence while feeling like the boat is sailing. 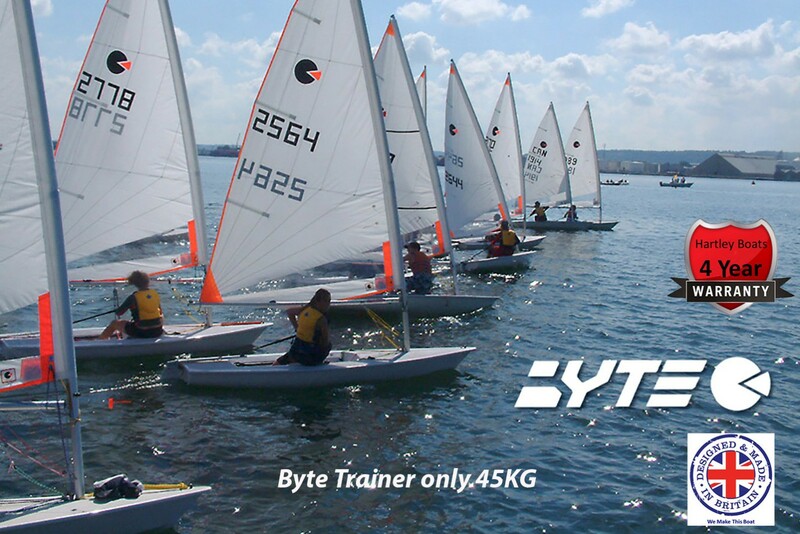 The Byte Trainer is suitable for mid-weight sailors when racing, and can be enjoyed by one or two people for leisurely cruising. 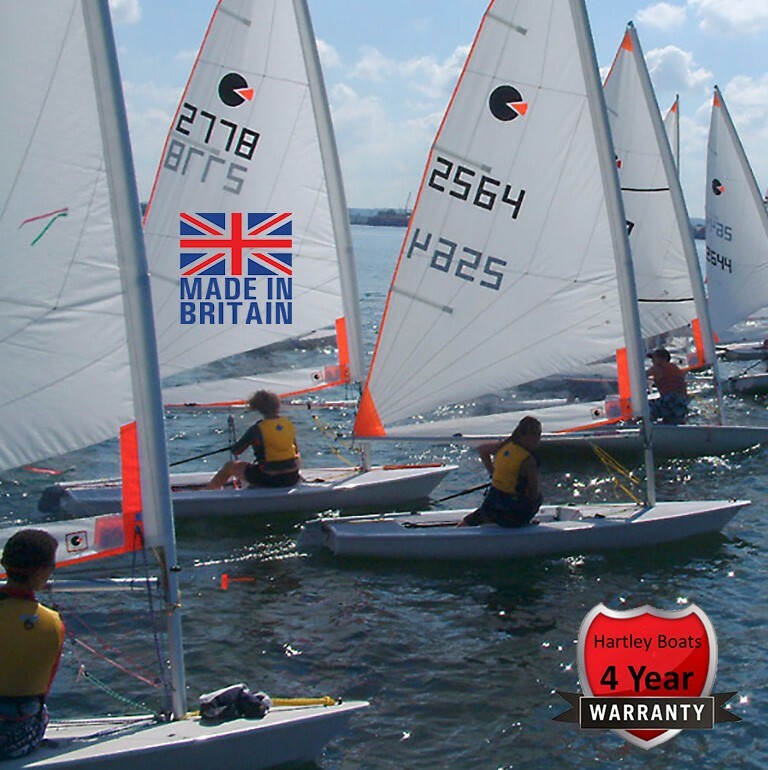 The new lightweight Byte Trainer takes a backache out of launching and recovery, manoeuvering the boat on the trolley or around the dinghy park is very easy. 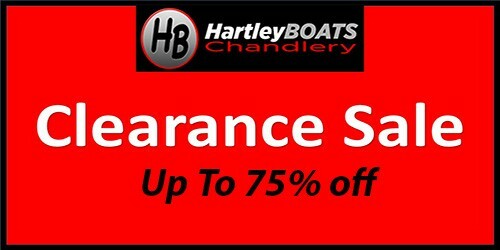 Suitable for beginners, intermediate adult or youth sailors.